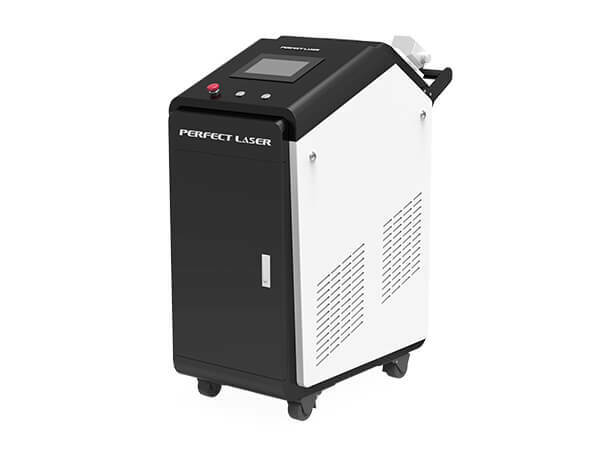 Perfect Laser is one of the leading laser rust cleaning machine manufacturers. Laser rust cleaning machine is a new developed technology in recent years.The use of lasers as metal surface cleaning has just been developed in recent years, laser beams in manufacturing have been widely used in welding, drilling, cutting and metal surface treatment. In recent years, laser cleaning technology has quietly risen in all fields. Laser cleaning is the preferred metal mold cleaning process. Compared with the traditional sandblasting and dry ice cleaning, the laser rust removal machine has the advantages of good cleaning effect, small mold damage, low comprehensive cost and no environmental pollution. 1. Fully enclosed external light path, computer threshold control system, the industrial rust remover can efficient cleaning the product surface and does not hurt the machine. 2. High-precision cleaning, strong controllability. 3. The traditional cleaning method is often contact cleaning, the surface of the cleaning agent has a mechanical force, it is easy to damage the surface of the object or the cleaning medium attached to the surface of the object can not be cleaned, resulting in secondary pollution. The laser rust removal machine without grinding and non-contact solve these problems. 4. Hand-held or integrated automation of this laser rust cleaning machine operation, it is very simple and convenient. 5. The cleaning effect of this handheld laser rust remover is very good, cleanliness is very high, greatly improving the cleaning efficiency. 6. Compact body system, space-saving, this handheld laser rust remover can be moved to any place.